The new rules of posture is an essential book for anyone looking to improve their posture and feel more at ease in their body it will teach you in simple and easy to follow steps how to reconnect with your body and learn how to use it more efficiently. “Many people cause their own back and body pain through their everyday bad postural and movement habits, Many sense that their poor posture is probably the root of the problem, but they are unable to change long-standing habits. 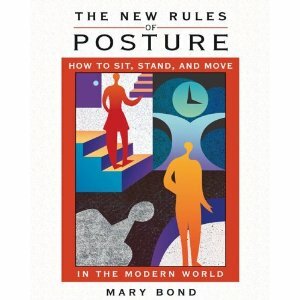 This is one of the best books I have read on the subject of posture and would recommend it to everyone interested in health, the human body, movement and body therapies. Mary Bond has a Master’s degree in dance from UCLA and trained with Dr. Ida P. Rolf as a structural Integration practitioner. She is a movement instructor at the Rolf Institute and teaches movement workshops in the USA.